For over 30 years, Molly Maid has come to the rescue of working families. The famous pink and blue colors of the company have become a symbol of clean houses across the nation. Molly Maid has cleaned over 2 million homes a year. A Molly Maid Application is available on the link at the end of the page. Canadian founders Chris and Adrienne Stringers created Molly Maid in 1979 to help working families clean their homes. They affectionately called their company after a famous character, Molly Brown, from a movie called The Unsinkable Molly Brown. The company provides professional house cleaning services with trained, uniformed staff in company identified cars. David McKinnon, an entrepreneur and along with several other investors brought the Canadian company to America in 1984. Since then the company has grown into one of “America’s Top Global Franchises”. Currently, there are 450 individually owned locations across Northern America and other countries around the globe. If anyone is interested in a franchise, they can go to their website for further information. Ms. Molly Foundation created in 1997 helps combat domestic violence in local communities. Since then they have donated over 2 million dollars for domestic abuse shelters across the United States. Every October Molly Maid holds the annual “Making a Difference Drive” which raises money and personal care items to help families of domestic abuse. Molly Maid Careers has employee advancement job opportunities like Route Manager/Team Leader, Office Manager, and Branch Manager within the individual company. The corporation offers franchise opportunities so that you can run your own home cleaning business with the Molly Maid name brand. For those new to employment, Molly Maid jobs may have the perfect opportunity for you. They offer entry-level careers such as home service professional or customer service representative, and sales estimator. You have the opportunity with some experience to advance within the company. Just fill out a free application, a resume is not required. How old do you have to be to work for Molly Maid? You have to be 18 years old to fill out an application form in order to work for the Molly Maid jobs. Certain positions within the company may require you to be older, just ask the age requirement when you apply with a direct application. Unfortunately, there is not a printable application form. Molly Maid benefits include competitive wages. You will find that they have transportation from home to work in the company’s car, paid training, a fun working environment, and advancement opportunities. The benefits do not include any health insurance or retirement savings plans. Applicants appreciate the work hours for the company. Their cleaning hours for maids are Monday through Friday 7:30 am to 6:00 pm and Saturday 8:00 am to 12:00 pm. Check with your local office because they may extend their cleaning hours. You do not have to work late night hours and holidays. Sales Estimator-Your responsibilities will be to go to the customer’s home and create a customized cleaning plan, estimate the cost of services needed, and discuss what the customer deems a success. You will also discuss a cleaning schedule and schedule your first cleaning appointment. Your wage will be $12.00 an hour. Customer Service Representative– The customer service representative is the first person the customer will contact about services. You will deliver excellent customer service by answering questions and listening to any concerns. Included in your job is selling and scheduling services. You must be proficient in Microsoft Office. Your wage is $10.00 an hour. Home Service Professional (Maid)-Your job description as a home service professional will be to make sure the customer’s house is professionally cleaned which includes mopping, dusting, vacuuming, scrubbing, and polishing. You must be able to communicate with the customer and team leader. Your wage is minimum wage to $9.00 an hour. Route Manager/Team Leader-You set the example of exceptional company standards. Your job entails, performing a quality check on services, collecting payment from the customer, and ensures the house is locked and secured upon leaving. Communication is essential between you, the customer, and your team member. Your salary is estimated at $26,000 a year. When you apply for Molly Maid jobs online, you will fill out a Molly Maid application and submit it to the local company. At this time, you should research the company and prepare answers for interview questions. Why do you want to be a Molly Maid home service professional? Research will provide the necessary answers for wanting to clean for the company. What have you heard about the company, do you like the hours, the possible wage, or their company policies on cleaning? Write all the reasons down, so you are prepared for the interview. Are you currently employed? Answer honestly, they offer full time or part time hours. They may have a position that works around your schedule, or they are looking for experienced maids. Do you have any experience in the cleaning industry? It is not necessary to have prior cleaning experience, but it certainly helps. They offer training for those that are new. What do you like about cleaning? Write down all the reasons you like to clean and how you feel about a cleaning job well done. Do you feel excited when a place has gone from grubby to spotless? After you polished, do you like the reflection? Do you have a driver’s license? Some of the jobs require a license to drive the company vehicle to cleaning commitments. How to apply for Molly Maid online? To apply for jobs at Molly Maid click on the link at the end of the page. After looking through all the job opportunities, you will choose the one that is right for you. Then you will click the button that says apply online. Another page will open, and you will fill in your personal contact information. Unfortunately, there is not a printable application for Molly Maid or a download application form. The hiring process will take about two weeks after you submit your online application. They will contact you first for a phone screening. After the initial phone interview, they will schedule you for a one-on-one job interview. It is advisable to prepare for your interview by looking at possible interview questions and formulate an answer script for when you are nervous. Come appropriately dressed for the interview and prepare for a possibility that they may ask you to demonstrate cleaning a room or a particular item. After the interview, ask questions about the company and your schedule. They see many applications for career hopefuls so offer a thank you for the meeting. An attitude of gratefulness will set you apart from the rest of the crowd. 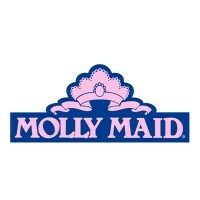 Molly Maid is licensed and bonded so every employee before they are hired will receive a background check and drug test. Pet Valu: Checkout the application page for work at Pet Valu. Union Pacific Railroad: Use the Union Pacific Railroad job application to apply here. Great Clips: Use the Great Clips job application to apply here. Petco: Petco offers opportunities for both, beginners and experienced roles. Goddard School: Visit the Goddard School application.